Guide To Oven Types - Which? Single or double oven? Gas or electricity? Find out the pros and cons of the different types of oven. There are four types of built-in oven to choose from: single ovens, double ovens, double built-under ovens and compact ovens. All are around 60cm wide, but vary in height. Single ovens are cheaper than double ovens. 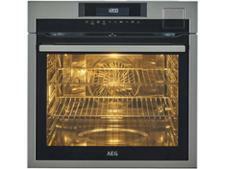 A single oven will set you back around £250 to £350, while decent double ovens cost more than £500. Paying a higher price will get you more features, but you may not need all of them. If you already know which type of oven you're looking for, head to our built-in oven reviews to find out which are best. One of the first decisions you'll need to make is whether a single oven will be enough or whether you'd be better off going for a double oven. While single ovens have just the one oven to bake, roast and grill in, there’s usually enough space to cook most things. Single ovens are around 60cm tall and can fit pretty much anywhere in your kitchen – such as under a counter or in an eye-level cabinet. Cons: Only having one oven to cook with will be a limitation for some, particularly if you’re looking to bake and grill at the same time, or if you’ve got a lot of cooking to do. Having two ovens offers more cooking options than a single. There will always be a grill in the smaller top oven and, on higher spec models, you’ll sometimes find one in the main oven, too. 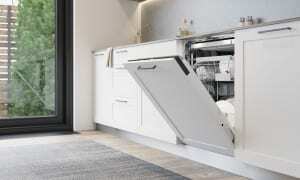 Double built-in ovens are about 90cm tall and need to be slotted into cabinets at eye level. Pros: You can use the grill in the top oven and the main oven at the same time. You can cook dishes that need different oven temperatures simultaneously. Cons: It takes up more space in your kitchen than a single oven, and there are fewer models to choose from. If you're short of space, one of these options may suit you better. A compact oven is smaller than a single oven at just 45cm tall, and around the same size as a large built-in microwave. Compact ovens usually come with a grill inside the oven compartment. You can also buy compact steam ovens, which are more likely to be used as an additional cooking option rather than the main family oven. Pros: A compact oven is a good option if space is at a premium in your kitchen. Cons: The trade-off for its compact size is that there’s not much room inside, so don’t plan to cook the Christmas dinner in a compact oven. If you need the flexibility of two ovens, but kitchen space is limited, a double built-under oven may be the best option for you. 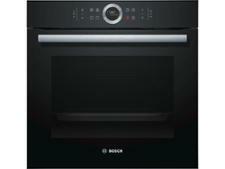 Double built-under ovens are around 72cm tall and can fit into an undercounter unit, or be positioned at eye level. Pros: You still get two ovens, but without taking up the extra space of a full-sized double oven. Cons: Double built-under ovens may be smaller than you’d expect, particularly the main oven. This is because manufacturers have fitted two ovens into a space only 12cm taller than a single oven. Most of us have a preference for the type of fuel we cook with, while some of us might not have a choice. For everyone else, here’s our assessment of the good and bad points of cooking with an electric or gas built-in oven. These are by far the most popular ovens. Remember that, just like a gas oven, it will need to be installed by a professional. Pros: The benefit of cooking with an electric oven, especially one with a fan, is that heat is distributed all around the oven. Electric ovens also tend to stay at a more accurate temperature than gas, and there are plenty to choose from – you'll find more electric single ovens in shops than any other type of oven. Cons: Electric ovens are more expensive to run. There are far fewer built-in gas ovens on the market than electric models, but you can still find good ones. Pros: Gas is the cheapest fuel to cook with, so you’ll definitely save money if you cook this way. But the savings aren’t massive – there’s around a £25 annual difference between the cheapest-to-run gas oven and the most expensive electric oven. Cons: Gas built-in ovens aren’t quite as effective as electric ovens at keeping to the set temperature and distributing heat all around the oven. 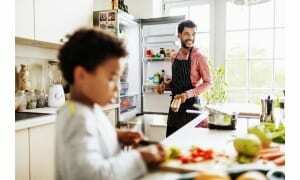 Gas will always be cheaper to cook with than electricity. We find out how much each oven costs to run by baking 2kg of bricks for two hours, at the same temperature as you would cook a chicken. This gives us consistent cooking results for each oven we test. 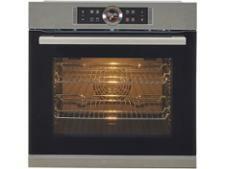 Based on using the oven five times a week, gas ovens cost around £20 a year to run and electric ovens cost around £40. The difference isn’t massive annually, but over the lifetime of your oven it might add up to around £120. All but the cheapest electric ovens come with fans to spread the heat around the oven. Fans are helpful because you can cut cooking times and reduce the temperature you cook at. They also make baking on two levels at once easier by circulating the heat. 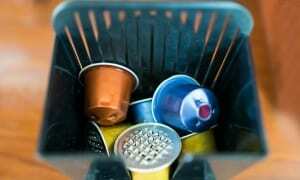 Most gas built-in ovens don’t have fans and heat distribution suffers because of this. But if you get to know your gas and adjust to it, you’ll be able to produce excellent results. It’s usually easier to maintain an even temperature throughout an electric oven – oven fans help to do this, as do digital thermostats, which can be set to the degree. 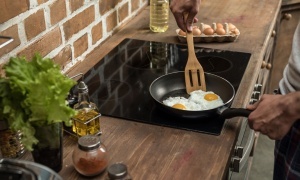 In gas ovens without fans, it’s harder to maintain an even temperature throughout the oven – gas ovens are usually noticeably hotter at the top than at the bottom.